RUFAI ABUBAKAR—was arrested on 22ndApril 2014 at Gwantu Sanga LGA of Kaduna State by a Joint Security team. He is a forty-three (43) year old indigene of Yarimawa , Kazaure LGA Jigawa State. He has admitted that shortly after the bomb blast of April 14, 2014 one Rufai Abubakar Tsiga now at large confirmed to him that he (TSIGA) and other members of the Boko Haram sect carried the attack at Nyanya Motor Park to retaliate the killing of a sect member at the same Park eight (8) days earlier. The said Rufai Abubakar TSIGA hails from Angwan Gabas , Gidan Mammai Tsiga Town ,Bakori LGA Katsina . Ahmad Rufai ABUBAKAR confirmed that Rufai Abubakar TSIGA sent him recharge card credit of N800 after the bombing incident. That it was later discovered that the phone of one Muhammadu Sani ISHAQ was used in sending him the credit. According to Ahmad Rufai ABUBAKAR, (A.K.A Maiturare ) , Rufai Abubakar TSIGA also told him that Boko Haram National Leader had directed that all members of the sect should relocated with their families to “Gaaba” (Boko Haram forest camp)in preparation for mass attacks against the Nigerian State. MUHAMMADU SANI ISHAQ—Sani was arrested on 24th April 2014 at Utako village behind Julius Berger Yard Utako following the disclosure made by Ahmad Rufai ABUBAKAR(A.K.A Maiturare). He is a thirty (30) year old indigene of Balari village Ajingi LGA of Kano State. Sani was a sale boy in Rufai Abubakar TSIGA’s patent medicine store at Utako called “Kishi Clinic “ a structure which also served as a base for Boko Haram’s convert activities in the FCT. He revealed that two day before the Nyanya blasts, Rufai Abubakar TSIGA his boss , informed him around 4.00pm after prayer that there was a plan to bomb a facility in Abuja but stated that he was never informed of the exact location. He further revealed that Rufai TSIGA later informed him that the bomb to be used for the blasts were being coupled at the residence of one Adamu YUSUF. According to SANI , a day before the Nyanya bombing precisely 13th April 2014 he and TSIGA drove the car laden with explosives and parked it behind four (4) buses inside the Nyanya Bus Park overnight after which they left the area. He revealed that before 7.00am the following morning Rufai TSIGA went and detonated the explosives. When h was intercepted with firearms at the Nyanya Motor Park, (However, this story of killing of a boko haram member at the Nyanya Motor Park a week earlier would appear untrue but was fabricated by TSIGA to elicit the interest of SANI and other sect members used for the attack). YAU SAIDU —Yau was arrested on 29thApril 2014 at his village Dandambo, Tsanyawa LGA Kano State. He is twenty-eight (28) years old. Before his arrest, SAIDU was an apprentice under Rufai TSIGA at his medicine store in Utako village maket. Although he denied membership of the boko haram sect, he claimed that his uncle , Rufai Abubakar TSIGA and Muahmmadu Sani ISHAQ attempted to enlist him several times. 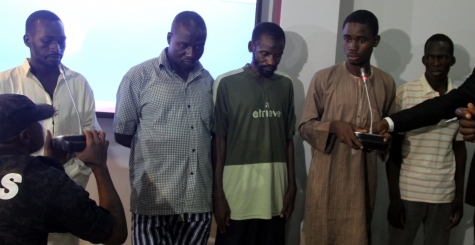 He identified the perpetrators of the Nyanya bomb blast as Rufai Abubakar TSIGA Muhammadu Sani ISHAQ and Aminu Sadiq OGWUCHE. He also disclosed that on 13th A pril 2014 about 11 hours, a day before the Nyanya bombing, Rufai Abubakar TSIGA and Muhammadu Sani ISHAQ drove out from Utako village market in a back-coloured Honda Accord car and returned about 15 hours . Later the same day, they went out again in the same car and did not return until the following day, 14th April 2014 about 11 hours after the Nyanya bombing incident had occurred. He alleged that when TSIGA learnt of Muhammadu Sani ISAQ’s arrest he fled Utako to an unknown location and left his business in his care. TSIGA equally sent a message to his wife, Hauwa on GSM 07067434122 directing her to pack her belongings and flee the area. ADMU YUSUF —-Was arrested in Bauchi on 5th May, 2014. He is forty-three (43) years old . He confessed that he is member of the boko haram. Adamu was a cleric at Finance Quarters Mosque, Wuye, Abuja. Muhammadu S ani ISAHQ disclosed that Rufai Abubakar TSIGA confirmed to him that the bombs used for the Nyanyan incident were coupled in a bush near the residence of Adamu Yusus. He claimed to be an apprentice under Rufai Abubakar TSIGA along with Anas ISAH. ADAMU claimed that on the day of the Nyanya bomb blast, Rufai Abubakar TSIGA, called and told him that he heard of the bomb blast and that it was a job well done. ANAS ISAH—-Anas was arrested on 3rdMay, 2014 at Unguwar Yan-Tagwaye village, Katsina LGA Katsina State. He is 22 years old and indigene of Tsiga Bakori LGA Katsina. Anas came to Abuja in 2011 and hawked yoghurt for about one (1) month before going back to Tsiga. He returned to Abuja in in 2012 and worked as a sales boy in a pharmacy located at Ruga near Wuye Market. In 2013, Rufai Abubakr TSIGA invited ANAS to join his Clinic at Utako village. He identified Mohammadu Sani ISAHQ and Rufai Abubakar TSIGA as member of the sect especially as the latter had confided in him his membership of the boko haram sect. Rufai Abubakar TSIGA , a boko haram Leader is a mastermind of the bombing incident of 14th April , 2014 at El-Rufai Motor Park Nyanya, Abuja. TSIGA is currently at large. 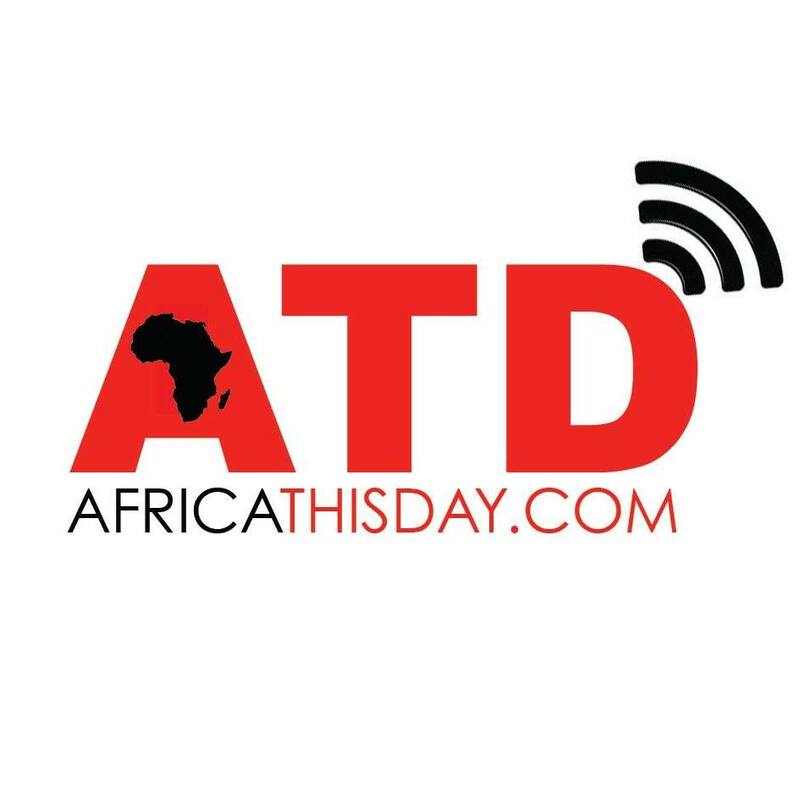 Rufai Abubakar TSIGA was actively aided by a co-mastermind, Aminu Sadiq OGWUCHE, a student of Arabic Language at the International University of Africa, Sudan. He is from Orokam, Ogbadigbo LGA of Benue State. Aminu is currently at large. In the night of 13th April 2014 Rufai Abubakr TSIGA and moved the explosives laden vehicle to the position from where he detonated the explosives. Rufai Abubakar TSIGA (a.k.a Dr. TSIGA) and Aminu Sadiq OGWUCHE are currently at large and are hereby declared WANTED .the sum of Twenty-Five million naira (25M) is hereby announced as reward for anybody with useful information on their whereabouts. It is noteworthy that UK born Aminu Sadiq OGWUCHE with Service Number SVC 95/104 deserted the Nigerian Army in 2006 . He served in the Intelligence Unit of the Nigerian Army at Child Avenue Arakan Barracks Lagos between 2001 and 2006 and was posted to the Nigerain Defence Academy in 2006. Aminu Sadiq OGWUCHE was arrested on 12th November 2011 at Nnamdi Azikwe 2011 International Airport (NAIA)Abuja on his arrival from the United Kingdom for suspected involvement in terrorism-related activities but was released on bail on 15th October 2012 to his father ,Col.Agene OGWUCHE(RTD) following intense pressure from human rights activists who alleged human rights violation. Nigerian security forces shall not rest on their oars until every individual or group of persons involved in the Nyanya bombings are brought to book. However our findings raise critical issues that demand the collective sensitivity and support of the general public if we must win the war on terror. Terrorists element are disguising daily by taking up various businesses and menial jobs in Abuja and its environs, Therefore, security awareness of the public and prompt response to information sharing will continue to play pivotal roles in the war on terror. We hereby enjoin fellow Nigerians to be very vigilant and collaborate with law enforcement agencies as we together strive to protect our nation from the antics of criminals within and outside shores . Accordingly we urge Nigerians to be patient, to trust and support the nation’s security forces as all seeming security mysteries in our country will be resolved. This entry was posted in Uncategorized and tagged abuja bomb blast, Boko Haram, El-Rufai, Nyanya. BREAKING: Boko Haram shows off Abducted Girls in Hijab. SHOCKING: World’s 10th Most Evil Man Becomes a pastor. Video will shock you.